Sunday lunch The Moody Cow pub and restaurant in Upton Bishop was wonderful. We all thoroughly enjoyed our meals, I especially liked the pork duo, being served with both the pork belly as well as a loin. The roast potatoes were the star of the show, being really crunchy. The venue was amazing, with a neo-gothic feature wall, large comfortable looking sofas and a wood-burning stove. This was a very special venue with an excellent Sunday lunch. 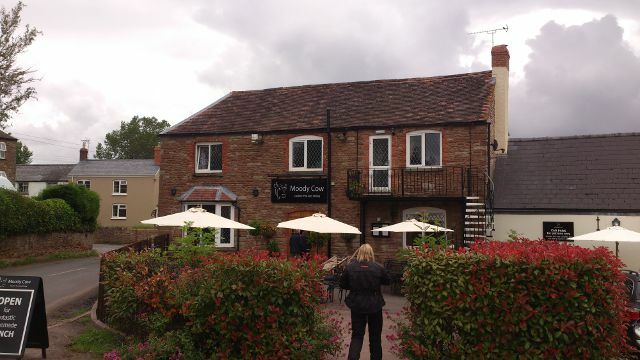 A Best Sunday lunch at The Moody Cow in Herefordshire and well worth a visit.